DropshipMe is a free WordPress plugin focused on inventory. It is created to improve product sourcing for dropshipping stores. With the help of this plugin you can easily import selected AliExpress products with already edited titles, descriptions and pictures in a couple of clicks. The plugin provides the access to the product database via API. To install and activate this plugin, enter your email here and click ‘Get my plugin now’. 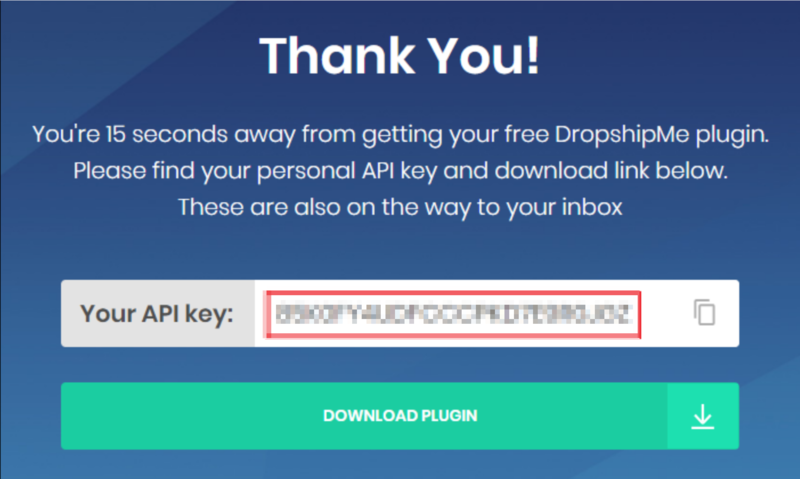 On Thank you page you can download a zip file and get your personal API key. In your WP admin area go to Plugins => Add new and upload the zip file you have downloaded from the Thank you page or from the received email. Click Install. Go to Plugins => Add new and enter "dropshipme" in the search field. Go to Activation section and enter your API key, then click Activate. After the activation you immediately get 50 free products ready to import to your store. Please note that your API key can be activated only once and used only on one domain. If you activate another API key on the same domain, no more free product imports will be given. Learn more about this tool, its settings and options at Dropship.Me.